GirlFriendCircles.com is where women who care about meaningful friendships gather to inspire, learn from, and meet each other! We mistakenly think that the hard part of friendship is finding people we like. But the truth is that we have all met A LOT of women we have liked with whom we never became good friends. Friendship isn't a search, but a process. And that process-- those skills and actions--can be taught. And practiced. We can build up the "friendship muscles" that will make a difference! The healthiest women among us aren't the ones ignoring their sense of disconnection, rationalizing it, or hoping it will just go away on it's own. 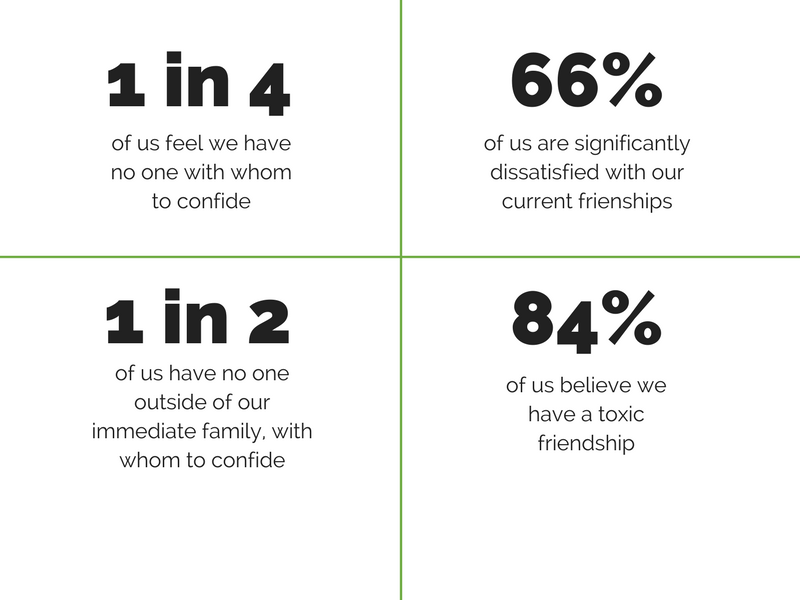 We may not have been taught how to do friendship as kids, but the women who are emotionally intelligent enough to hear the hunger of their body for more connection and support will also be the ones who acknowledge they're ready to put action behind that hope. My calling in this world is to bring women together and teach them how to create the frientimacy--friendship intimacy-- in their lives that will improve their health, increase their longevity, and fill their lives with the happiness and peace that comes with being supported. I would love nothing more than to teach you tangible friendship skills, challenge you to try new ways of connecting, inspire you with fun ideas, and encourage you with advice and support as you pay attention to creating healthy friendships! Let's focus the next 12 months of your life to building greater friendships as though your life depends on it. Because it does. Shasta Nelson, M.Div., is the Founder of GirlFriendCircles.com, the "gym membership" for better friendships. Her spirited and soulful voice for strong female relationships can be found in her books Frientimacy: How to Deepen Friendships for Lifelong Health and Happiness and Friendships Don’t Just Happen! The Guide to Creating a Meaningful Circle of GirlFriends. She also writes at ShastasFriendshipBlog.com and in the Huffington Post, speaks across the country, and is a friendship expert in the media appearing on such shows as Katie Couric and the Today Show.